Michelle began working part-time for the Center in February 2014 as office manager and assistant. 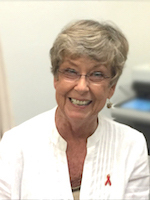 She has worked for over 30 years at Appalachian State University so she is happy to be able to assist the Center with its mission and growth. Her cats and dogs are what is dear to her most. She also loves to fish and is a starving artist. 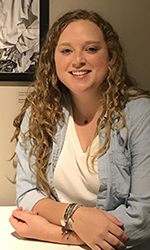 Magnolia Hopkins is a senior graphic design student at Appalachian State University. She creates many of the promotional and visual materials for the Center as well as maintaining the website. She has been designing since 2010 and spends most of her time designing and reading. Magnolia is very excited to be involved and to help the Center interact with the community. Dr. Weiman has 30 years of professional expertise in Holocaust Studies and Interreligious/Interethnic Dialogue, with a focus on educational multi-media tools and skills, leadership development and community-building. She specializes in designing creative and transformative approaches to minority rights and prejudice reduction. Her groundbreaking work in the field of Holocaust and Genocide education, conflict resolution and interreligious dialogue includes the production of award winning films and curriculum, and the development and execution of exhibitions of all sizes and mediums, festivals and conferences, international tours and projects, workshops, academic courses and leadership training, and social entrepreneurship on a global level. 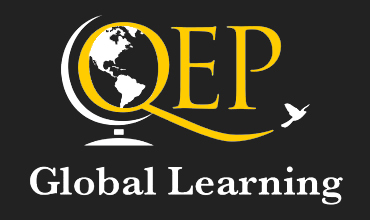 Independent Researcher and Scholar, The Humanization Project: Lecturer, trainer, scholar-in-residence in academic and government settings internationally. Curates exhibitions and edits and co-authors curriculum and teacher's guides, government reports, and articles in academic journals and popular press. Documentary film maker, researcher and producer. Current Projects: Producer of Indonesian Lullaby: Courage and Compassion in a Time of Hate, Documentary Film and Educational Project, based on the extraordinary survivor testimony of Dr. Alfred Munzer, Dr. Weiman is at present dedicated to inspiring knowledge of the Holocaust and developing interfaith relations in modern Indonesia (2013-present). Play/ screenplay Honorable Discharge: Black Soldiers and Holocaust Survivors based on true story of Lt. John Withers and the all Black Quartermasters unit encounter and involvement with liberated Holocaust survivors (2016-present). Producer/Academic Specialist in Mixed Media: Research Director, documentary film on the rescue in the Philippines of Jewish refugees from Nazism (Frieder Films, 2010). NASA multicultural multimedia curriculum (2006); Producer/ Research Director of several award-winning documentary films, including a National Emmy finalist, (CBS TV, 2004), BBC senior research consultant in Mid-East sector (1997 BBC-TV award); Created and developed over 40 WWII documentation film interviews archives PBS-WCET Cincinnati; independent filmmakers' companion educational materials for private and public sector films. Recipient of national acclaim and awards for the design/development of interactive multimedia museum exhibitions, including Mapping Our Tears WWII testimonies (2004), and curated ten traveling exhibitions. Initiatives among the Israeli Arab community through Anwar Il Salaam, Nazareth (2010) and a Women's Leadership Forum at Al Qasemi Academic College, Baqa Al Garbia (2009). Senior Director of the Dialogue Institute, Temple University, Philadelphia: responsible for Global Education and Professional Training (2009-2015). 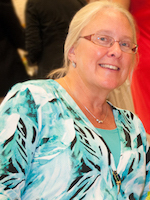 She was founding Executive Director (2007-2009). Her mandate was to foster and create academic and professional interreligious dialogue and engagement, and to support a global network of individuals and communities through training and mentorship. 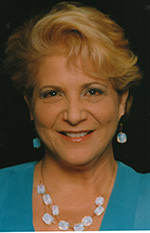 Founding Director of the Center for Holocaust and Humanity Education, at Hebrew Union College-Jewish Institute of Religion, Cincinnati, OH: (2000-2006) During these years, Racelle was awarded honors by Government of Bulgaria and Bulgarian Orthodox Church (2002); and was the recipient of the highest civilian award from the Government of the Philippines, the Order of Lakandula, (2005). Ghetto Fighters' House, Beirt Lohamei HaGhetaot (1985-1990) YadLa Yeled. Prominent appointments include: John Paul II Papal visit to Israel organizing committee (2000); the Global Network of World Religions, Japan (2000); Intergovernmental Commemoration of Interreligious Understanding, Dutch Reformed Church, The Netherlands (1998) and League for Human Rights, Canada for secondary school teachers and administrators on Holocaust education (1993-2000) and the Commission on Human Rights, international teacher-training seminars in Poland and the Czech Republic (1995-2001). 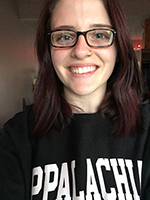 Savannah is a fifth year senior at Appalachian State, studying Graphic Design and Studio Art. She is excited to use her design skills to help maintain and create the promotional products needed for the Center. When she is not designing, Savannah is focusing on her photography and traveling whenever she can. She is enthusiastic about helping the Center communicate and connect with the local community.